Microsoft employees from all over the world volunteer their time, talent and considerable expertise to help build a successful and dynamic future for Africa. Launched in late 2013, participants support a wide range of individuals and organisations across the continent, ranging from start-ups, small and medium businesses to schools, universities, government agencies and individuals such as students, graduates, and job seekers. “In early 2014 we received a specialist in ERP Dynamics from Microsoft Canada as part of the MySkills4Afrika program. “I was invited to attend a Project Management training by Martina Hennessy at Microsoft offices. As an entrepreneur, the training program equipped me with project management skills that I will further use to propel and run my Agribusiness Company based in Kisumu. “MySkills4Afrika focuses on skills development as a way of building capacity within the African continent and ensuring Africans are globally competitive. “As part of the MySkills4Afrika program, I volunteered for an opportunity to deliver Project Management training in Nairobi from 17th-21st March 2014. My experience as an intern in Microsoft has been great, it involves a lot of job training not only from a technical perspective but an all rounded experience from different business units of the organisation”. Microsoft employees from all over the world volunteer their time, talent and considerable expertise to help build a successful and dynamic future for Africa. Launched in late 2013, participants support a wide range of individuals and organisations across the continent, ranging from start-ups, small and medium businesses to schools, universities, government agencies and individuals such as students, graduates, and job seekers. The objective of MySkills4Afrika is building world class skills and increasing innovation and affordable technology access on the African continent. Volunteer assignments range from intensive 1-2 week projects delivered in-person in Africa to long-term coaching and mentoring engagements delivered virtually. Tom also helped us understand different ways in which we can approach customers and a lot of the business development managers picked up new ideas on how they can apply similar approaches here in the local market. We are working with Microsoft to explore how we can receive more support in the future through this programme. “I was invited to attend a Project Management training by Martina Hennessy at Microsoft offices. As an entrepreneur, the training program equipped me with project management skills that I will further use to propel and run my Agribusiness Company based in Kisumu. I hope to partner with Microsoft to fuel my journey of empowering the local farming community, and then transform them into smart farmers. My business involves collecting agricultural information such as marketing structures and best farming practices and then consolidating all this information into one platform that can be accessed by farmers. As a company we felt the need to critically invest in this space quite aggressively. We have development programs curated for different universities in the region however the MySkills4Afrika program is designed for the partner community, innovation centres and NGOs. This focus will help build capacity in these areas by sharing and transferring knowledge and experience of what is happening on the ground and basically share best practices. 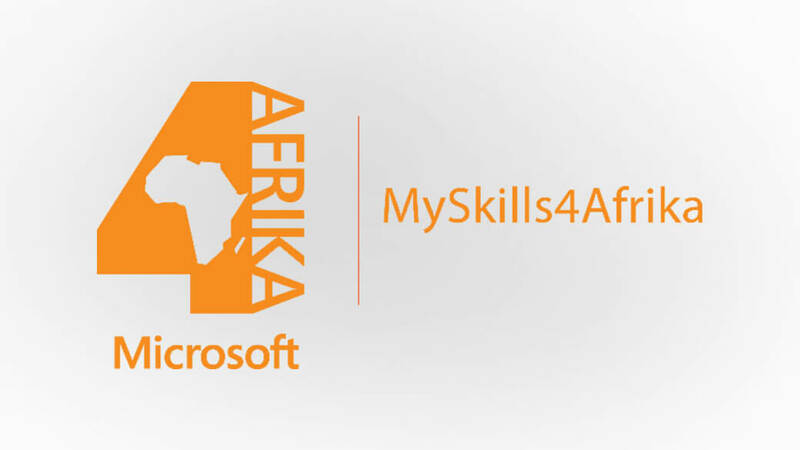 MySkills4Africa’s intent is how Microsoft can impact African society from a social and economic perspective. We are not just investing for the sake of it, we want to see a net impact on the GDP of the economy because we believe that with the right set of skills we can positively impact the growth of the country”. “As part of the MySkills4Afrika program, I volunteered for an opportunity to deliver Project Management training in Nairobi from 17th-21st March 2014. My interest was twofold – both in sharing my skills more broadly, and also by learning more about the business realities of emerging markets and bringing those insights to bear on projects I am involved with in the European Operations Centre. I was very excited to be successful in my application! The training was split across two locations, and I also spent time with the MySkills4frika team, building out the project plan for the second wave of volunteering opportunities to be advertised as part of the program. My assignment was hosted at Nairobi’s Innovation Hub for the technology community - an open space for technologists, investors, tech companies and software programmers in the area. This space is a tech community facility with a focus on young entrepreneurs, web and mobile phone programmers, designers and researchers. It is part open community workspace (co-working), part vector for investors, Venture Capitalists, and part incubator. There were 19 attendees from a variety of business backgrounds on the two-day course I led. Some were planning to launch their own businesses, others were already working for themselves, and others again were working for small companies such as Dotsavvy and the African Community Development Media. From my observation, most attendees had some experience of project management but very little knowledge of the formal methodology. As a result there was great appetite to leverage the tools and templates I shared, and to discuss challenging real-world scenarios particularly those involving negotiation, team working and stakeholder management. There was a high level of interest in sharing approaches/experiences and discussing topics openly. Overall feedback on the training was very positive with 100% of attendees feeling the course was beneficial and valuable in their work. The one area of mixed feedback was on the course length. While the majority felt course length was right, the next time we deliver the project management course we will align the levels of prior understanding of participants so that the course duration feels right to all of them. “My experience as an intern in Microsoft has been great, it involves a lot of job training not only from a technical perspective but an all rounded experience from different business units of the organization”. The program involves a lot of soft skills training like managing projects, which frequently is left out of training aimed at technical experts. Some of these gaps involve dealing directly with customers, a case scenario that cannot be created in a classroom setting and for instance learning about Microsoft’s marketing distribution model that wasn't covered in USIU. Since the interns are from different graduate education backgrounds, after recruitment, they are taken through an onboardingsession in South Africa to learn the Microsoft culture. When they report to their various stations, Microsoft puts the interns in their specific areas of specialization for example marketing, IT, procument, supply chain which have different onboardingprogrammes.